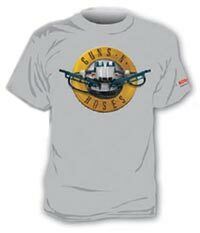 It looks like in order for Bosch Tools to find out where their advertising money is best spent, they are giving away free Guns & Hoses t-shirts. The only catch is they want you to tell them which publication you spotted their Bosch Nail Guns ad in. If you are reading this blog post, then you probably heard about the Bosch nails guns from us, but unfortunately it doesn't look like that will get you a free shirt. Bummer. So the next time you are at the hardware store, you might want to browse through a few magazines to see if you can spot the ad. The giveaway runs until August 31st or until supplies run out. Good Luck.